31.05.2014. London, England. 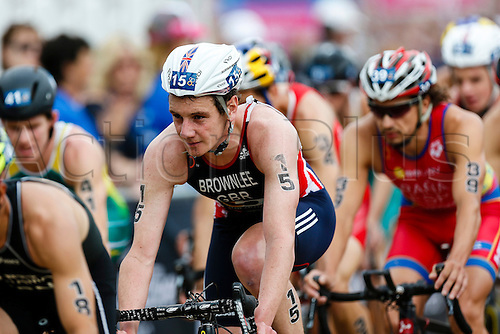 Alistair BROWNLEE (GBR, 15) positioned at the front of the lead pack during the bike leg of the ITU World Triathlon Elite Men's race being held in Hyde Park.